The abolition of Law Societies that are accountable to their members. Instead, the profession will be regulated by a statutory body, the Legal Practice Council (LPC), which will be accountable to the Minister of Justice and Constitutional Development. Although the LPC will consist of a majority of practitioners, the Minister will also appoint some of its members; The LPC will not be obliged to take into account the interests of practitioners, who will be compelled to form or join voluntary associations for this purpose; The Minister will have wide regulatory powers, previously held by the Law Societies, including the determination of fees for legal services, the issuing of regulations regarding community service and the power to appoint an interim Council after dissolving the LPC pursuant to a court order; Until such time as the Minister determines the fees pursuant to an investigation and report by the South African Law Reform Commission, the Rules Board for Courts of Law will prescribe the tariffs for all fees; The Minister will also prescribe the areas of jurisdiction of Provincial Councils, the procedures for their election and several matters regarding their operation; There are concerns that measures to ensure a transformed legal profession that reflects the demographics of the Republic, may be used to restrict entry into the profession; The Minister will have the power, in consultation with the Minister of Trade and Industry, to make regulations in respect of the admission and enrolment of foreign legal practitioners; The funding model contained in the Bill is expected to place a high financial burden on individual practitioners; The Legal Services Ombud will be appointed by the President at his sole discretion. The legal professionвЂ™s recommendation that the Ombud be appointed by the Chief Justice, was rejected. 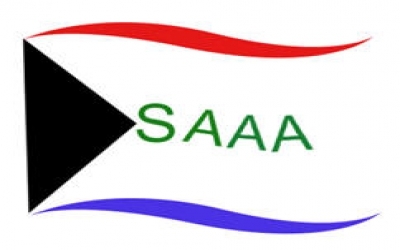 The SAAA is pleased to note that Clause 24(4) of the Bill, which provided that The Minister may in consultation with the Council, permit a person or category of persons concerned, to expeditiously commence practising as a legal practitioner, against which the SAAA had objected in a previous press release, has been deleted. The SAAA welcomes the fact that the distinction between the attorneys and advocates practice will be retained. However, the new provision that will allow advocates to accept briefs directly from members of the public, subject thereto that вЂ“ like attorneys - they too comply with requirements regarding the keeping of trust accounts, not only erodes that distinction, but will cause considerable administrative problems and will confuse the public. The SAAA is of the view that an advocate who wants to receive direct briefs, should convert his/her registration to that of an attorney.